For a single day, let us ignore the current state of the world, and instead recall that seventy years ago, on June 6th, 1944, citizen warriors from the United States, along with our allies from nations around the world, leapt from the air, and surged from the sea, to gain a toe hold in France, in Hitler’s Fortress Europe. In eleven months, less than a year, ordinary American servicemen achieved the extraordinary, fascism’s barbarity would soon meet it’s end. Let us hold true to the sacrifice of those men as they undertook the unimaginable. General Dwight David Eisenhower, Supreme Commander Allied Forces Europe. My oldest sister Becky was calling on a Saturday afternoon early in March 2011. Mom had been describing vague flu-like symptoms for the better part of a month, and had finally relented about going to the doctor’s office. Mom can’t go to the circus. This is a joke. It cannot possibly be real. Is it real? How bad is leukemia for the elderly? They’re doing amazing things to save kids with leukemia these days? Is it treatable? What kinds of leukemia are there? Why don’t I know this? I should know this. In the next 30 days we learned all we ever wanted to know about leukemia. It was too much, in too little time. The six of us assembled at Becky’s house within the hour. My older brother Chris was at his home in Texas. We hadn’t told Mom yet, and were game planning this as we went along. We agreed we would all go over to Mom’s house together. Mom first thought that something was wrong with my sister Mary – she had been feeling ill for a while as well. As always, even though she had just come back from the Doctor’s office herself, her first thought was about someone else. We soon learned that the docs needed to determine which type of leukemia Mom had. A blood test would take a long time, but a bone marrow test would tell us exactly the type of leukemia Mom had. She was also started on a blood transfusion – which made her feel much better very quickly. The doctors promised they would call us when they were ready to do the bone marrow extraction from Mom’s hip. However, they took the bone marrow when none of us were there. Mom seemed to handle it very well. I guess after having seven kids, a little bone marrow is no great hurdle. Between Chronic and Acute leukemia, you want chronic. Chronic leukemia can be treated, and patients can buy some added time by undergoing various treatments (chemotherapy, radiation, or even, simply, pharmaceuticals). It seemed very strange to be rooting for one form of terminal cancer over another, but we were cheering for chronic leukemia. We didn’t get our wish. Mom had acute leukemia. Without treatment, she could expect 30 to 45 days before she would succumb to cancer. Mom had witnessed far too many friends and family suffer the misery of chemotherapy. The Doctor advised that the chemo might give her a month more. She would have to stay in the hospital for six weeks for chemo – and she might not ever be able to leave the hospital even after the chemo. But he was not gentle in describing how awful the experience would be. In the balance of things, Mom was going to die. In 60 to 75 days if she suffered through the chemo. In 30 to 45 days if she let the disease run it’s course. Mom had already told us her choice even before the test results came back in. Mom wanted to go home. Selfishly, I wanted her to try some form of treatment. I thought that she owed herself at least a chance. She would want any one of us to grab onto any option available. She would never let us ignore an opportunity for a chance. But none of us had lived the life she had. She knew what she wanted for herself. In the end, I had to respect her wishes. Mom stayed in the hospital for several days, and had one more blood transfusion. We arranged for hospice care, and Mom went home. She was up and about, but we babied her. She got mad at us. We were blessed with the fact that my niece, Meeshea, my Mom’s very first grandchild, was an in home medical assistant. Hospice came and checked on Mom infrequently. She had morphine and a few other prescriptions at the house, but she didn’t use any of them. We stressed over getting my older brother Chris to come back to Sacramento from Texas. He initially didn’t think he could get to California until April. We had to explain – April could conceivably be too late. Also, we thought it would help both Mom and Chris if they could spend more time together while she was feeling relatively well. We were able to get Chris to California by the end of the week. She seemed to be weak but OK at home. We hovered. We didn’t give her much space. She worried about us. My wife and I told our young daughters, who each spent their first three years at Gramma’s house everyday when we went to work, that she was very sick. Our oldest understood what cancer was – although very young, she remembered cancer claiming my Dad in 2005. After a good week together, Chris had to go home to Texas. The Saturday he left was the hardest day yet. This would be the last time Chris ever saw Mom, and she him, and we all knew it. We all thought about how we would handle our last moments with Mom. But Chris had the burden of being the first. How he was able to pull it off, and stay as strong as he did, I’ll never know. He said exactly the right thing. He said it for all of us. Mom, I have to leave now. I know you’re sad, and I know you’re afraid. I will miss you. I’ll always remember you. I will always love you. And I know we will be together again someday. That day, when Chris left, destroyed us all. Yet, somehow, his final words to Mom also fortified us. Mom worried about my sister Jennifer. She had lived with Mom since 2000, following her divorce. They were essentially a married couple by now, Mom and Jennifer, Jennifer and Mom. We made sure that we had Jennifer prominently in our planning, but she put up a stronger front than we had thought possible. I believe that this helped Mom find a little more peace as she struggled with her health. My brother Ken, who had handled Dad’s cancer for more than a year, was outwardly strong, as he always was. This was different than Dad. Dad loved us, and provided for us, but Mom took care of all of us. I know that while he was a rock, a sentinel of strength for us all, inside he was being consumed. Deep in his eyes, I could see the hurt. A good man with pride and strength, I just didn’t know how to make anything better for him. For any of us. Meeshea continued to help us care for Mom. Coming off a 24 or 48 hour shift, she would get a few hours of sleep, then come over and relieve us for the hours she could. Ken and Dawn spelled each other at home – Spring break provided Dawn time to stay with Mom during the day, and several nights. Another blessing. Brian had always been the most quiet out of all seven of us. He has always been the most funny. He definitely puts on the best show. But he is measured. Again, as hard as it had been with Dad, this was worse. My wife took several days to stay with Mom. Mostly, she took care of me, and our daughters. The most glorious thing she could give to me was more time with Mom. Which was completely unfair to her, since she and Mom had been more than Mother in law and daughter in law for more than 20 years. They were more than even mother and daughter. They really were best friends. Mom had a guiding influence in the way we raised our girls. Becky was at the house more than any of us. The sad burden of being the first born had fallen to her. She simply did what needed to be done, at every turn. Mom continued to get weaker. She refused a catheter, and we all spent many nights with her, making sure she was as comfortable as possible, or just helping her get to the restroom. She preferred to sleep on her couch in the living room. We futilely kept trying to get her to eat something. I cannot recall how many nights I slept on the floor, next to her, but each of us spent many long hours with her at night. We worked in shifts, covering time, the precious time we had left, so that she was never alone. We stepped on each others’ toes, got in each others’ way. In essence, we continued to act as the family we have always been. Hospice arranged for a hospital bed, and an oxygen pump. The hospital bed made a big difference in her comfort. The house was very small, so the hospital bed went right in the living room. The oxygen pump helped her breathing, but it was vulgar. A loud, accusing reminder that this vile disease had clutched onto Mom. Cancer only does one thing. It takes. With a large family, we had many people coming and going. Visits from nieces, nephews, grandchildren, great grandchildren, friends, neighbors, everyone. Earlier, we had asked Mom if she wanted to take a ride. Head up to Lake Tahoe, if only just to look out the car window. But now she was getting so weak, we weren’t sure that she could make it. In her third week at home, the hospice nurse visited and told Mom she should go to the hospital and get another blood transfusion, or she would only have a few days left at best. So the ambulance came and collected Mom in the afternoon. The expectation was that they would have to do an image of her heart to make sure that no fluid had built up around it, or the transfusion would be pointless, or make things worse. They did the test around 4:00PM, but the lab had closed at 5:00PM – so we waited in limbo. Finally, an angry angel from the Oncology Ward got someone to get into the lab and get the results. The transfusion was approved. This was around 7:00PM. I spent the night next to her in the hospital room, sending Meeshea home, calling the nurse for another unit of blood whenever the bag on the IV tree ran out. The nurse brought a package of foam swipes on a stick that we could dip into water, and sooth Mom’s terribly chapped lips. Suddenly Mom had an unquenchable urge for ice chips. She couldn’t get enough. The following morning Mom’s gums started bleeding from all the ice chips she had been eating. The concern at this point was that she could start bleeding and not stop because her blood was so poor that it couldn’t coagulate, and she would bleed out. For some reason, she did stop bleeding, and she was transported home. She had much more energy, similar to when she had had her earlier transfusions, but this time it faded quickly. Getting Mom to the restroom was becoming more and more overwhelming – for her and for us. There is absolutely no dignity in cancer. Blood started appearing in her urine. And not just a little. We talked about the morphine, and the other drugs that would help her labored breathing. She finally acquiesced on the medicines, but still refused the catheter. That Friday Mom had a very good visit with her sister Gayiel, and our cousin Rick. She was very engaged, and alert. After they left that afternoon, Mom went to sleep. We wouldn’t know it then, but she never fully woke again. That evening I called the hospice for the catheter. They couldn’t promise a time when they would be there, but after waiting through the evening, I finally went home to get some sleep leaving Becky, Jennifer, Mary and Brian with Mom. Hospice came late in the evening and placed the catheter for her. She didn’t really wake up, but Brian and Becky were mortified – it was simply a horrible experience. Becky called at 5:00AM the next morning, because they couldn’t wake Mom up, and her breathing had become excessively labored. We really thought that the end had arrived. When my brother Ken had arrived, he spoke very loudly to her, and Mom opened her eyes briefly. I arrived a short time later, and Mom also responded when I spoke loudly to her. Her eyes opened, and quickly closed. The six of us, and a rotating audience of grandchildren, children’s spouses, and Mom’s sister spent the day in the living room, just talking to her. Mom’s still very labored breathing filled the room. As the day started to fade, Mom’s breathing seemed to normalize – it was still consistent, but not as loud, or nearly as labored as it had been. Hospice told us that she could easily go days like this. She remained this way into the next day. Late that evening, I returned home to try to sleep again. It was Sunday night. Becky called me Monday morning, April 11, 2011, in the very early pre dawn hours. She let me know that I had better get down to the house. I was the last of the children to arrive. Mom was gone. She was peaceful and had attained the rest that she had worked her entire life to earn. I kissed her, and said goodbye. We were all a wreck. The Coroner came and took Mom away. I started making the calls that I had known I would be making, to family and friends, in far off places. The Oncologist was right. He had given Mom 30 days. She passed on the 29th day. Mary noticed it first. April 11th. 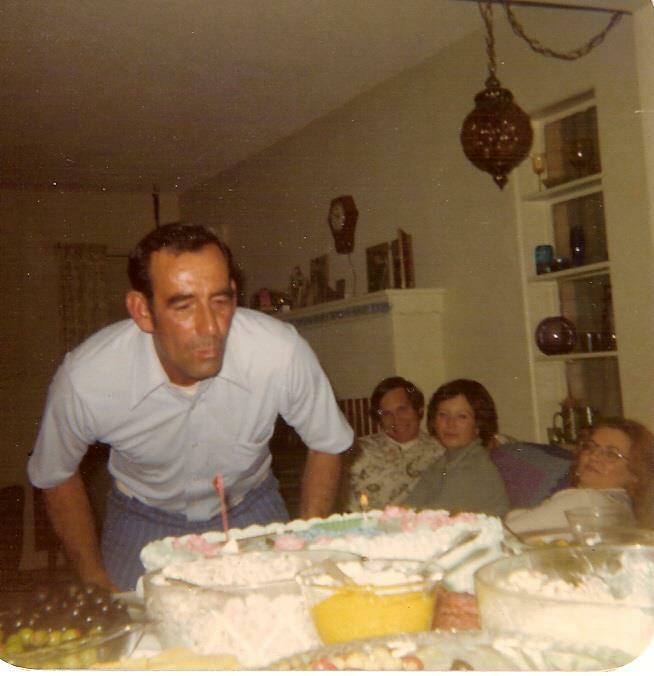 Mom had waited a day to let Dad’s birthday pass. That didn’t really surprise any of us. There is no real lesson here. No life changing revelations. People live. They love. They get stronger. They get weaker. They become forces in each others’ lives. They die. A mother’s love is possibly the strongest force in the world. 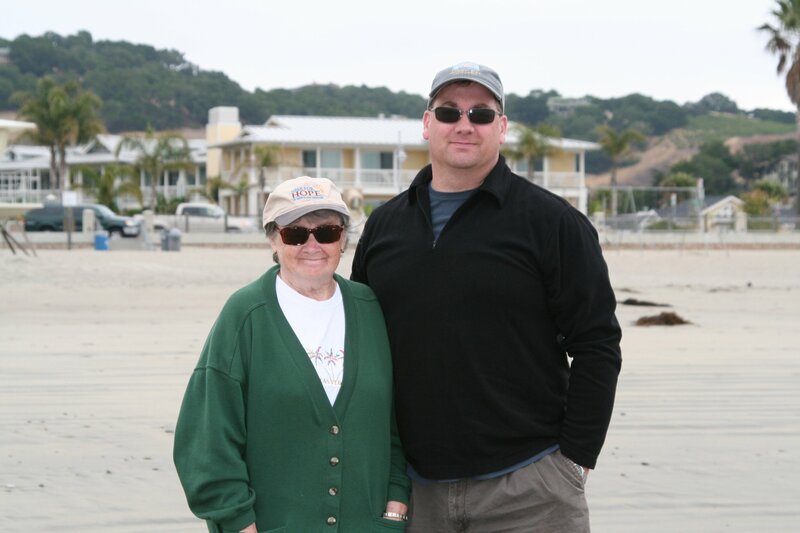 I could never even begin to quantify the blessings that Mom brought to our lives. Honestly, it’s immeasurable. The seminal event that saved the world. Being saturated and satiated with emotion and sensation, I went to bed and slept the sleep of the saved and thankful. Even though we suffered tremendous loss of life, and it plunged the world further into the darkness of fascism, this was the beginning of the end. 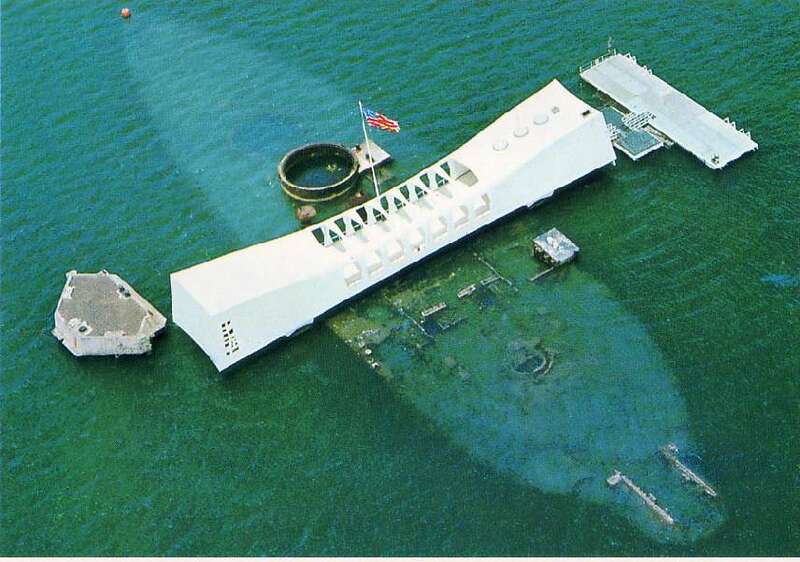 For the world we inherited today, we owe to the many thousands who sacrificed to earn the peace, beginning on that day. We were wrought low, to our very knees, but we would not submit. We helped to free the European and Asian continents, and cemented the greatness of the American Spirit into the annals of history. We could use a little bit more of our righteous might these days. Veterans Day. Every year we take this one day to thank those who have served. As we should. The truth is that there is no possible way that we can offer enough thanks to those who have served. 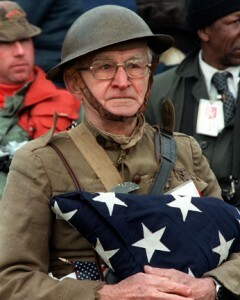 On Memorial Day, we honor those who have died in war, wearing the Uniform of the United States. 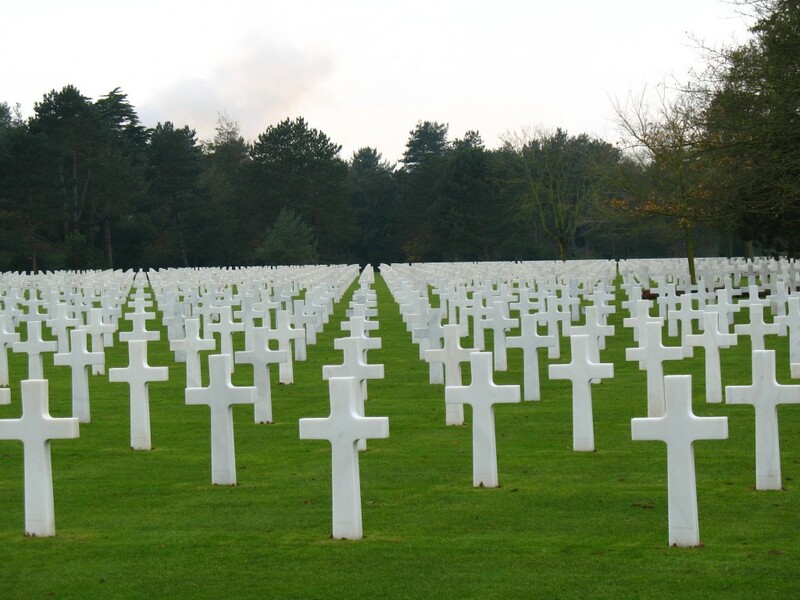 It is easier to grasp the enormity of that sacrifice, because the measure of the sacrifice confronts us immediately: An American who gave their life in war. There can be no greater sacrifice. 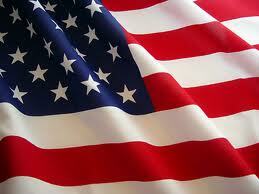 Armed Forces Day honors those currently in service in the military of the United States. But Veterans Day is a bit different. We honor all who have worn the uniform in service to the United States, during peace time or during war. The measure of that sacrifice takes a bit more effort. Since 1973 military service has been voluntary. The sacrifice of veterans since that time is something to note. Many veterans from 1940 through 1973 were called to service through the Selective Service Act. But all veterans since 1973 had a calling to service. While the distinction is small, the sacrifice of any veteran, conscripted or voluntary, is exactly the same, and our gratitude should be of equal measure. The veteran has offered the very best of themselves, not only at their own expense, but tendered also with the sacrifice of their families. In truth, the American people have an enduring love affair with those who have worn the uniform. Despite what many would see at a protest today, the men and women of the United States Military ensure that this country exists in peace. To those that willingly step forward and say “I give myself, in totality, to my country, and family” we can only offer the sincere love and gratitude of a humble nation. We must keep faith with our Veterans, we owe them an unpayable debt. The greatest nation on the face of this earth exists and prevails due to the service of these fine Americans. God bless each and every one of them. A 40-something answers the call. Smitty, over at The Other McCain has orders to active duty in mid November, and will be arriving in Kabul Afghanistan before Christmas. A Naval Reservist, and graduate of Canoe U, he, like myself, is overage and decrepit. Yet the call goes out and he answers it. So on Veterans’ Day, remember the Men and Women who answer the call, and keep Liberty’s vigil. Battalion Chief Edward F. Geraghty, NYFD, was 45 years old on September 11, 2001. We was born in 1953. He was survived by his wife Mary, his sons Connor, James, and Colin, his mother Norma, his father retired NYFD Capt. Jim Geraghty, brothers Steve, Tim, sisters Lynn Cannata, Janet Baronian, Maureen Perez, and Collen Lopez. Edward’s son Conor has been behind an effort to name September 11th National Firefighters’ Day. Edward Geraghty was a hero walking among us. More significantly, he was a hero to his family, and his community. Please take time to remember the unassuming grace of Edward Geraghty, and the many men and women like him. A portrait article about Edward appears at the New York Times. Joan McConnell Cullinan was born August 12, 1954 and was 47 years old on September 11, 2001. She worked at Cantor Fitzgerald, as assistant to the President and lived in Scarsdale, New York. She was survived by her Husband Tom, stepsons John and Will, her Mother Bee Savage Joudzevich, her sisters Blaise and Brenda, and nieces Caitlin and Allison. Joan had completed her final course work in July 2001 for her B.A. degree from Pace University as a Psychology Major. She and her husband were married in the summer of 2000, and they had just begun filling out paperwork to try to adopt a child from China. She had also sent out applications to graduate schools to pursue a degree in clinical social work. Many comments cite Joan’s deep friendship with her sisters, and how she was a cherished mentor to numerous women she worked with throughout her career. Today, let us remember the remarkable dignity and spirit of Joan’s all too short life. James Trentini, of Rowley, Massachusetts, was a retired teacher and assistant principal. He died as a passenger on Flight 11 on September 11, 2001. Also lost with him on that sad day, and equally devastating to his family, friends, and community, was his beloved wife Mary. He was born May 24th, 1936, and was 65 years old at the time of his passing. James touched the lives of so many people (young people specifically, as a teacher) that it is incalculable to measure the impact he made upon his community, and the world. Every child he taught and each of their descendants will have been touched by his guiding hand, after a fashion. Many of his former students have expressed that in James, they saw someone who could see the potential in each of them, and was eager to help each of them realize it. James coached football and track. He was an active member of the American Cancer Society. James was survived by his children Patti Trentini, Paige Landry, Pamela Trentini, and Jimmy Trentini, as well as his grandchildren Albert Landry, Parker, Payton and Piper Paris. James left behind five sisters: Mary Luciano, Lorraine Egan, Patricia Malatesta, Della Spadafora, and Bernice Barletta. You can see the Legacy.com questbook for James. Also visit the 9-11 victims tribute page for James. Prepare yourselves to be overwhelmed and humbled by the impact of one very good man on the world. I was assigned to remember Louise A. Lynch as a participant in Project 2996. I am honored, and very privileged to do so. Sadly, I discovered that there wasn’t much public information available about Louise. And that is a tragedy, because, from all accounts, hers was truly a life well lived. I’ve found that she had a daughter Maria, whom she adored, and I’ve read a few postings from her Nephew, John Bennett, who mentioned that she enjoyed the Neil Diamond song Forever In Blue Jeans. John also notes that she prepared numerous feasts that she loved to share. Her co-workers remarked on how much they enjoyed working with her, and how over-the-top helpful she was to one and all. Please take some time today for a special thought for Louise Lynch, and remember, that everyone has the opportunity to make a special significant contribution to the world, just in the kindness and thoughtfulness we show to each other, from Louise’s example. Her courage, strength and uncommon grace should be treasured by one and all. A single life lost. The value and joy that it contained and was shared by all that knew her. Immeasurable. God Bless you Louise. Rest well. I’ve found a small photo of Louise from CNN. I’ve included it here and updated the post. Also, I had a comment from Louise’s daughter Maria last year on September 11th, after she googled her mother’s name, and found this post. 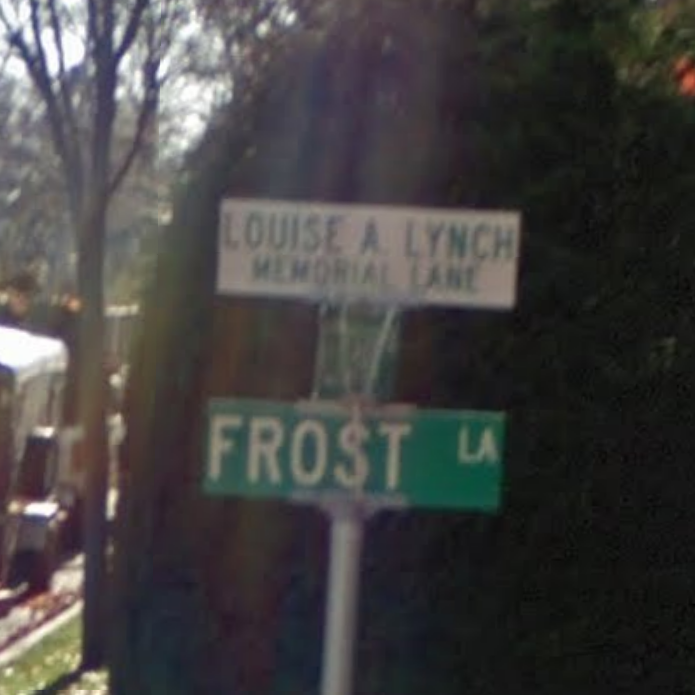 I cannot possibly convey how honored I was that Maria left a remark, and further, would like to note that Maria indicated that the street that her parents resided on for 30 years in Amityville, NY, was named for Louise last year, due to Maria’s effort to honor her mother: Louise A. Lynch Memorial Lane. Had to make a photo from a Google Street View. This day will always remind me of the sweet woman I’ve never met, from Amityville NY.